Attorney Joseph Spiegel established his private Ann Arbor practice in 1978, and he has since litigated, arbitrated and mediated hundreds of high-profile cases throughout the state of Michigan and nationwide, including those involving mediation; arbitration; broker fraud; corporate litigation; commercial disputes; SEC Regulatory Defense; and FINRA mediation. Handling one of the largest and earliest mortgage fraud matters in Michigan, Mr. Spiegel’s work led to templates for bankruptcy and use in later investment scandals. He also resolves many cases privately, resulting in confidential outcomes satisfactory to all parties. Mr. Spiegel has been accepted as a securities law expert in both state and federal courts, and has testified before juries as well as judges. In addition to his practice, Mr. Spiegel lectures at legal seminars educating lawyers and judges in securities law. He created, and chaired for over 25 years, the Midwest Securities Law Institute, an annual legal seminar for lawyers and regulators, now run by Michigan State College of Law. He has authored and published numerous articles in the areas of securities law and financial abuse of seniors. 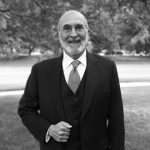 Joseph H. Spiegel PLLC helps Ann Arbor clients as a trusted mediator, arbitrator and business consultant. For your protection, we do not accept emails. Instead, call (734) 761-8475 to schedule your confidential consultation.